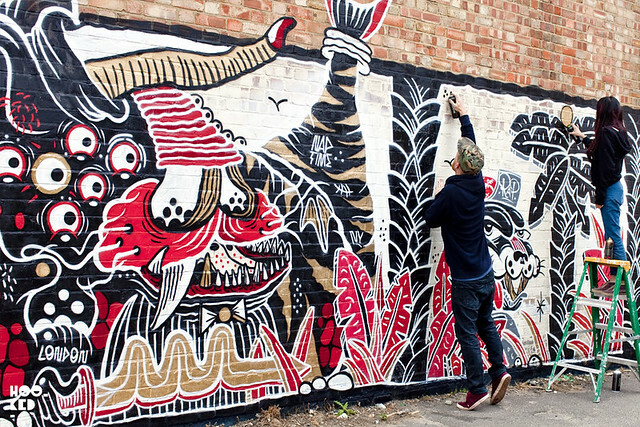 Brooklyn-based street artists, The Yok and Sheryo spent some time here in England earlier this year, collaborating on several walls during their visit. 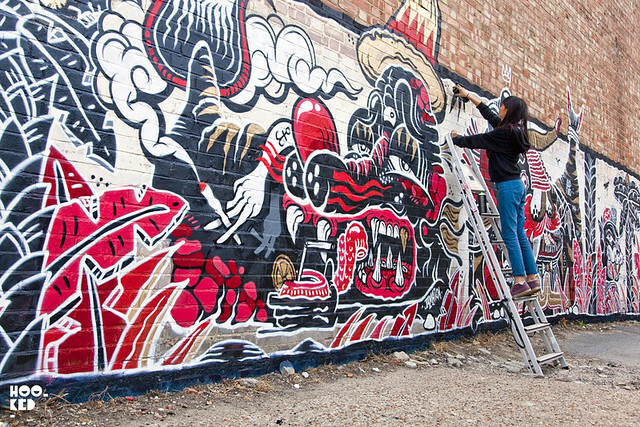 The duo also took part in a number of events while in London including The White Canvas project at Beyond Retro and The Sydenham Street Art Festival where they painted the epic wall pictured below. 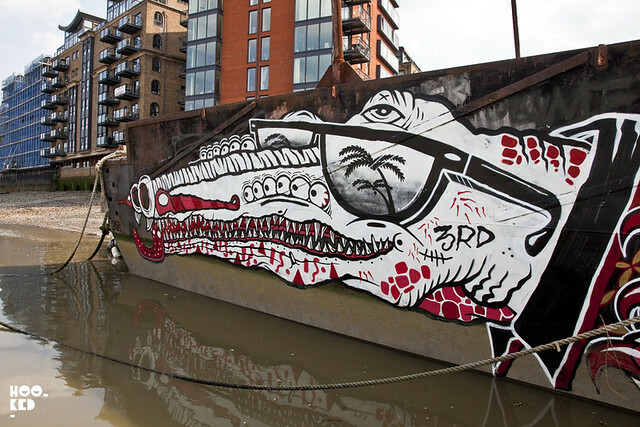 The artists were also invited by the Propa Stuff team to paint the whole side of a moored barge next to the iconic Tower Bridge along with Miss Van, Ciro Schu, Alice and Bailon (covered here). Crocodiles and various other strange multi-eyed creatures of the deep featured heavily in the walls they produced during their trip here and The Yok and Sheryo have just finished a short film clip from their travels which you watch below.